1 hour ago#DXCLUSIVE: Truth Enlists Tragedy Khadafi For "TNT (Large Professor Remix)" Video 10 hours agoRico Nasty Teams With Kenny Beats For "Anger Management" Album 10 hours agoLil Nas X Might Change His Name Because Nas Is A Legend 13 hours agoDave East Blames The Internet For Exaggerating His "Old Town Road" Hate 14 hours agoPromising R&B Collective Emotional Oranges Serves Lusty Number With "Someone Else"
Plus: Kenny Chesney, Halestorm and Daughtry debut in the top 10. 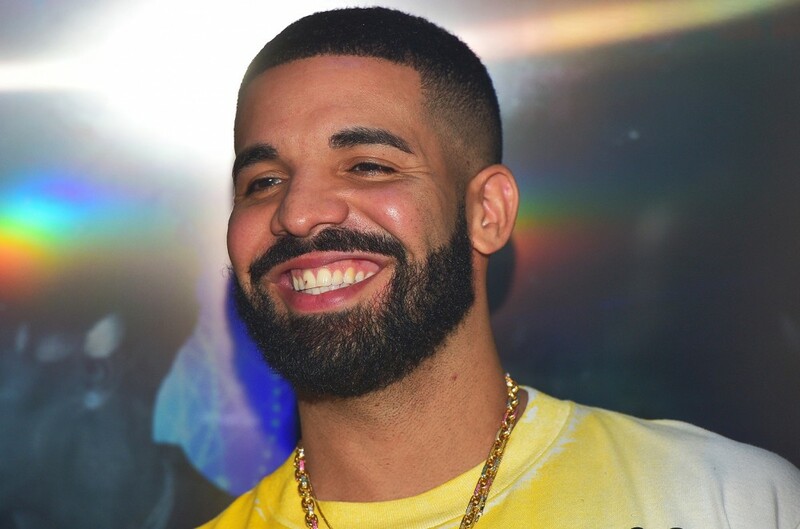 For a fifth straight week, Drake’s Scorpion rules the Billboard 200 albums chart. The set continues at No. 1, earning 145,000 equivalent album units (down 21 percent) in the week ending Aug. 2, according to Nielsen Music. Of that sum, just 12,000 were in traditional sales, as the album continues to be overwhelmingly powered by streaming activity. The Billboard 200 chart ranks the most popular albums the week in the U.S. based on multi-metric consumption as measured in equivalent album units. Units are comprised traditional album sales, track equivalent albums (TEA) and streaming equivalent albums (SEA). The new Aug. 11-dated chart (where Scorpion spends a fifth week at No. 1) will be posted in full on Billboard's websites on Tuesday, Aug. 7. Of Scorpion’s total 145,000 units earned in the latest tracking week, 123,000 were in SEA units (translating to 169.6 million on-demand audio streams), 11,000 were in TEA units and 12,000 were in traditional album sales. Most Weeks at No. 1 in a Year-and-a-Half: With a fifth week at No. 1, Scorpion clocks the most weeks at No. 1 for an album since The Weeknd’s Starboy spent five nonconsecutive weeks atop the list between Jan. 21 and Feb. 11, 2017. The set bowed at No. 1 on the list dated Dec. 17, 2016, and then vacationed from the top slot until Jan. 21, 2017, the first four more weeks at No. 1. Second-Most Most Total Weeks at No. 1 for a Hip-Hop Artist: Drake now has 26 total weeks at No. 1 across his eight leaders. He has now surpassed JAY-Z (25 weeks) to become the sole hip-hop artist with the second-most weeks at No. 1. Among hip-hop acts, only Eminem has more weeks at No. 1 with 32. Five the Top 20 Biggest Streaming Weeks for an Album: In the latest tracking week, Scorpion generated 169.6 million on-demand audio streams for its 25 tunes. In turn, that ranks as the No. 20 largest streaming week for an album. Scorpion’s first four weeks are also currently the Nos. 1, 3, 7 and 12th-biggest streaming weeks overall. At No. 2 on the Billboard 200, Kenny Chesney debuts with his latest studio effort, Songs for the Saints. The album bows with 77,000 units earned (with 65,000 that sum in traditional album sales). Songs is Chesney’s debut for Warner Music Nashville after a long tenure with Sony Music Nashville. Among country artists, the only acts with more top 10s than Chesney on the Billboard 200 are George Strait (20), Garth Brooks (19) and Tim McGraw (18). At No. 3 on the new Billboard 200, Post Malone’s beerbongs & bentleys is down one slot with 62,000 units (down 5 percent). Juice WRLD’s Goodbye & Good Riddance rises 6-4 with 39,000 units (down 2 percent), Cardi B’s Invasion Privacy is steady at No. 5 with a little more than 38,000 units (down 6 percent) and XXXTentacion’s ? falls two slots to No. 6 with 38,000 units (down 8 percent). The Mamma Mia! Here We Go Again soundtrack retreats 3-7 with 37,000 units (down 24 percent) earned in its third week. Another soundtrack, The Greatest Showman, moves 8-9 with 28,000 units (down 10 percent). Two rock bands notch their latest top 10s, as Halestorm and Daughtry’s newest efforts arrive at Nos. 8 and 10, respectively. Halestorm’s Vicious starts at No. 8 with 29,000 units (27,000 in traditional album sales), marking the second top 10 for the band. The act previously visited the region with their last studio effort, 2015’s Into the Wild Life, which debuted and peaked at No. 5 with 57,000 units earned in its first week. J. Prince Recalls Rap-A-Lot Records' Origins On "Soulful Sundays"